After a walk around MUHBA Temple d'August, many visitors stop by this confectionary restaurant. 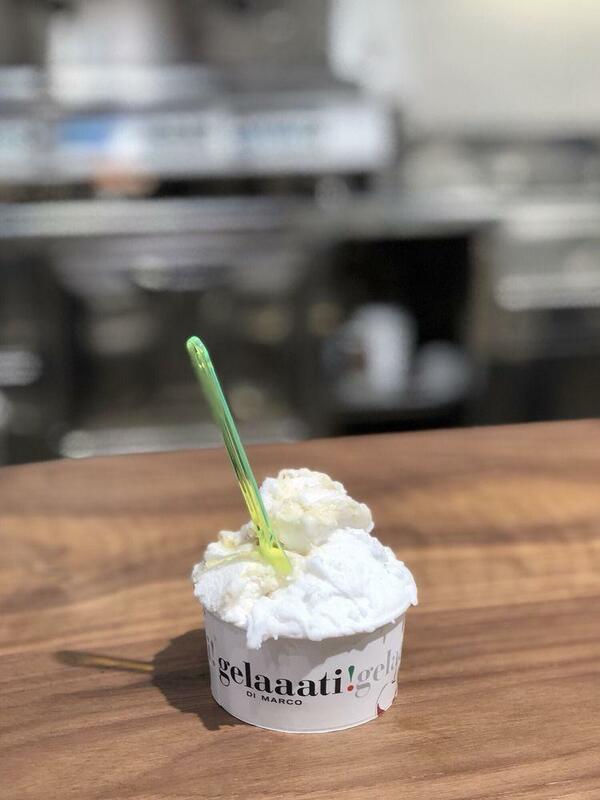 Gelaaati Di Marco boasts perfectly cooked ricotta, mascarpone and sturgeon. 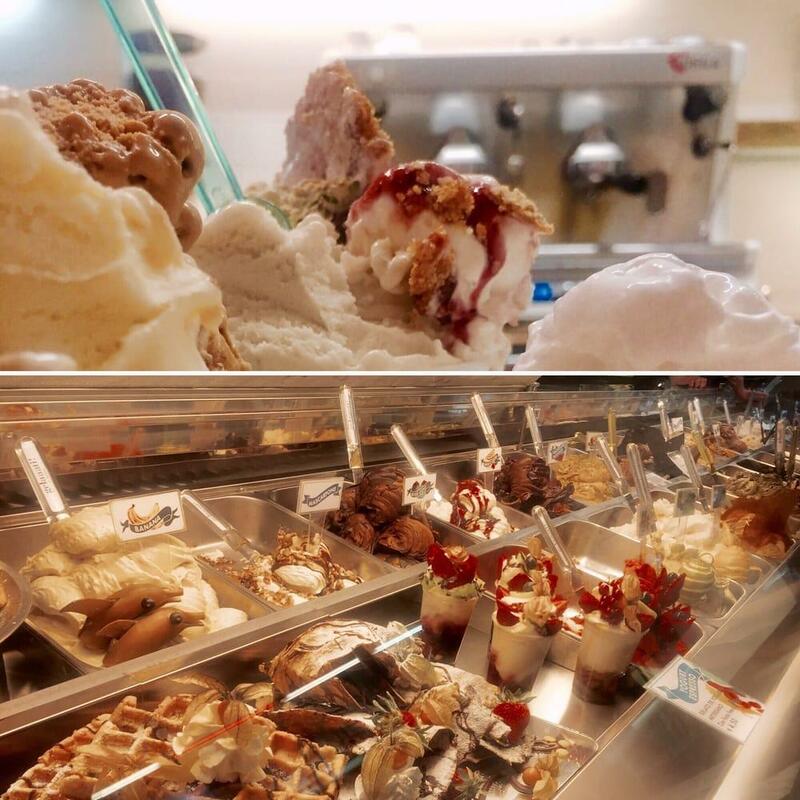 Come here and order tasty Italian gelato, strawberry cheesecakes and baked custard. Delicious cordial, rum or wine are waiting for you at this place. Get your meal started with good latte, ice tea or lemonade. This spot is well known for its great service and friendly staff, that is always ready to help you. 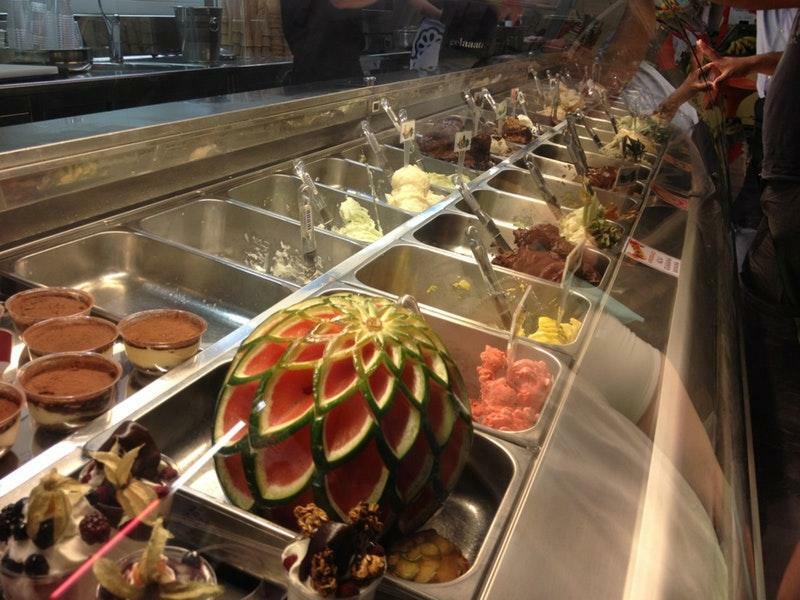 The motto of this confectionary restaurant is average prices for flavorful meals. The homey ambiance is to be found here. 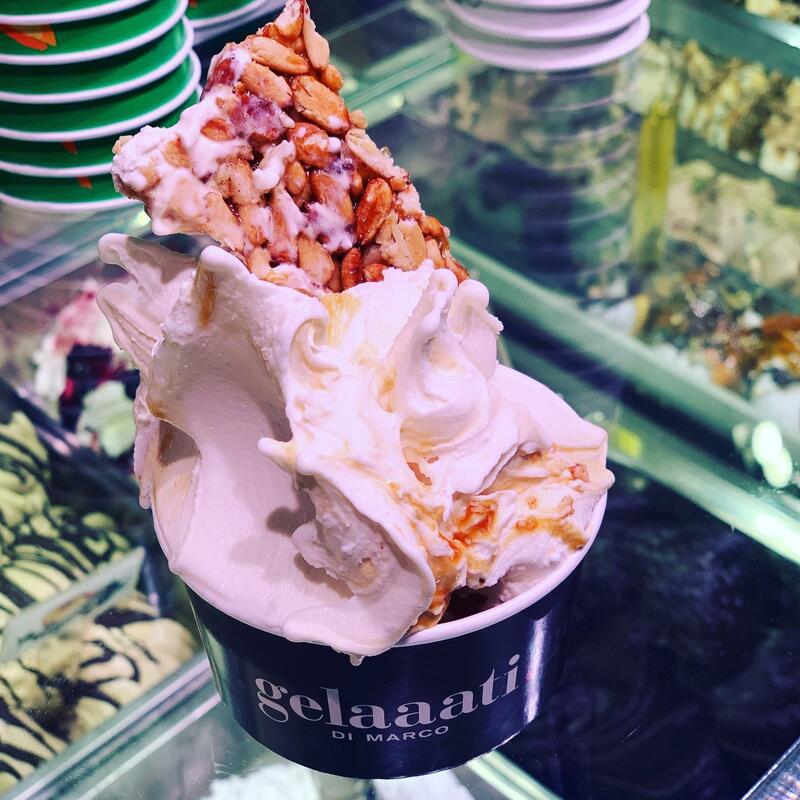 On TripAdvisor, clients say that Gelaaati Di Marco is worth the 4.5 star rating. 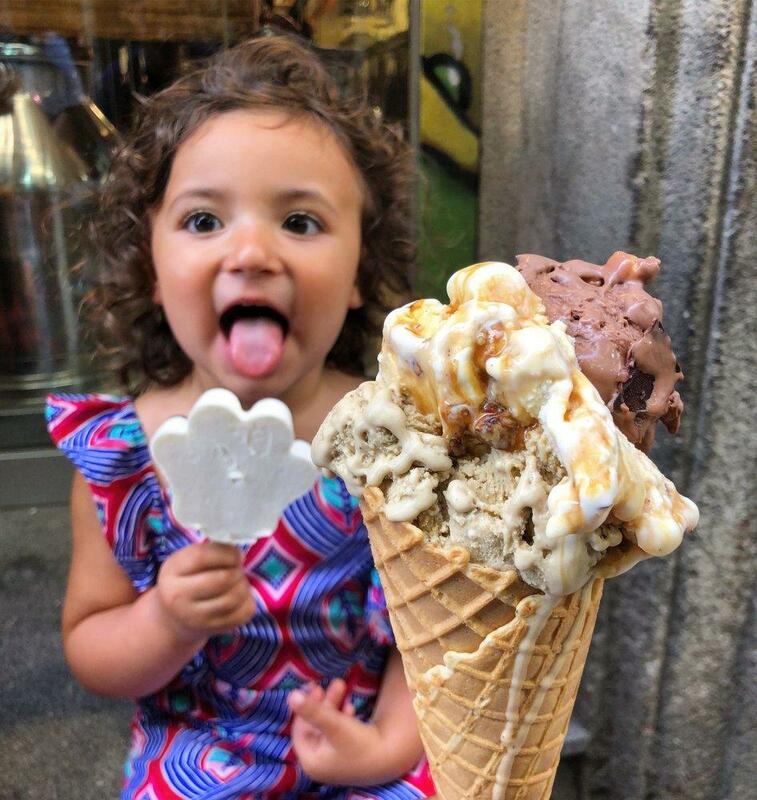 Smooth gelato. Good! 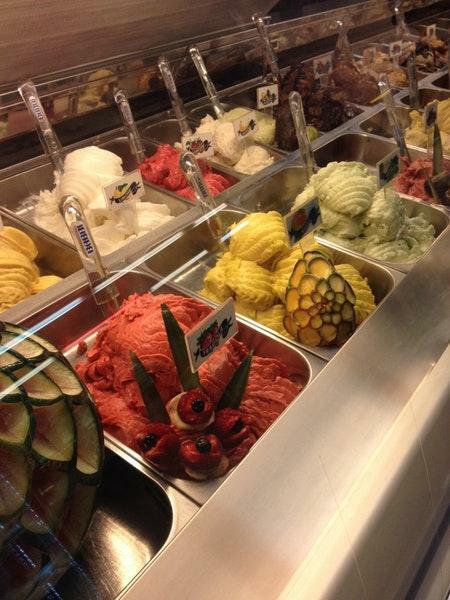 I like the yogurt gelato. Like their music too.